Seriously? OMG! WTF?Backstreet Boys /Aaron Carter Archives - Seriously? OMG! WTF? 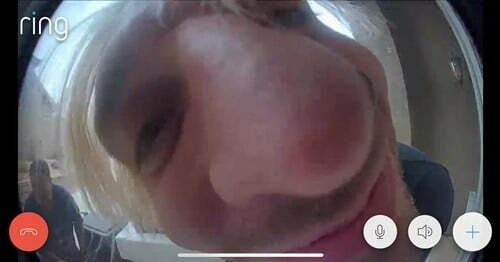 Does this camera make Aaron Carter’s nose big? Nick Carter is every parent with a toddler addicted to Baby Shark! Nick Carter’s son Odin is 2 years old, so that means he is addicted to Baby Shark by Pinkfong like most kids his age. No matter what the doting dad wants to watch, he can’t because his toddler only wants to listen to that tune, that gets stuck in your head, over and over and over again. Carter can ask to change the channel, but it ain’t gonna happen. I am sure seeing his suffering is making a lot of parents of teenagers from the ’90s very happy. That’s because they had to listen to Backstreet Boys over and over and over again. Now the singer knows how they felt. Not fun! Revenge is sweet. Like when Kristen Bell’s daughters make her dress up as Elsa from Frozen! Did Aaron Carter propose to his girlfriend on Instagram? Aaron Carter has his life back on track and he has a new girlfriend by his side. Yesterday, he posted a sweet message to Lina Valentine and she responded back with just as much love. Then he followed it up with the engagement ring emoji. What did she say to that? All she wrote was, “my love .” Does that mean they are engaged? Only time will tell. I am not sure how long they have been dating, but they made it Instagram official earlier this month. It has been almost a year since Aaron Carter went on The Doctors and talked about the unhealthy lifestyle he was living. After he appeared on the show, he went into rehab and straightened up his act. When they say your life can change in a year, they are not kidding. Look at how much his life has changed for the better in that time. Keep up the good work. This way, one year will turn into two, then five and a finally a whole lifetime of health. I guess James Corden always wanted to be in a boy band, so he just forced himself into performing at a Backstreet Boys concert in Vegas. At first BSB was hesitant, but eventually, they taught him the moves because he already knew all the words to their songs. Finally, he was ready to take the stage and he was, well, larger than life. That is not a good thing. But at least The Late Late Show host is a one song and done type of guy. Because I do not think the audience would have handled any more than that. Could you have?